A new year has started and we at SK Gaming are once again proud to announce a strong mixture of teams and players in all different kinds of games. First of all this article should express many thanks to all of our teams and players who helped and stood beside SK Gaming in 2009 and also to those who yet will be a part of the team in 2010. Attending Gamegune Mexico in late 2009 proved that counter-strike female divisions are fit to hold a candle to male teams. The team SK Gaming female around Alice 'ali' Lew managed a 5th-6th place amongst strong male teams like Evil Geniuses , Turmoil and WeMade FOX . On top of that this team placed a successful 4th place in ESEA Main Season 3 with a superb 12 wins and only 4 losses. Of course you will be seeing the best female lineup worldwide in 2010 again. Stay tuned! Four outstanding lineups decorate our World of Warcraft section of SK Gaming these days. First of all the European team around the almighty Valent 'another' Sebastijan. 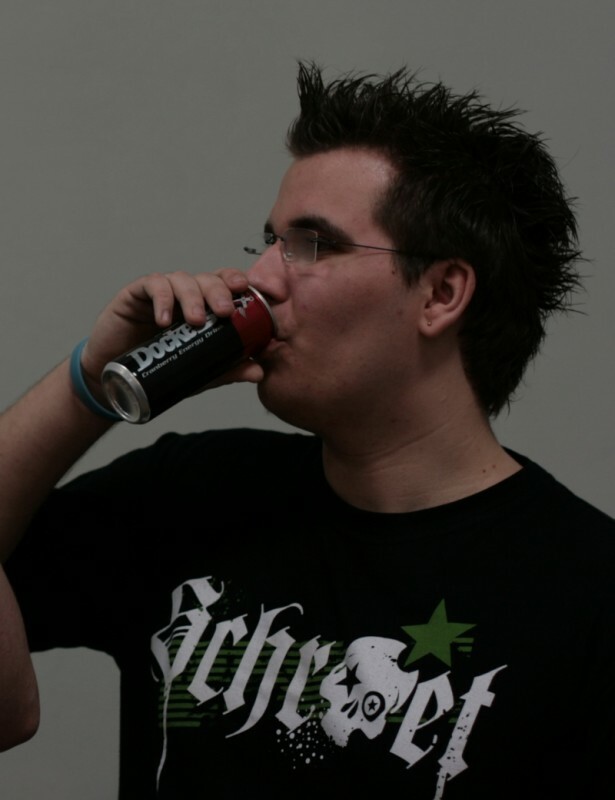 This being his second lineup in his SK Gaming career it has already achieved a silver medal at the top-class MLG Pro Circuit Anaheim event in November 2009. The additions Patrick 'Inflame' Costales, who today probably deserves to be considered amongst the most popular and best World of Warcraft PvP players worldwide, and the youngster Alexis 'Enigmz' Martin replenished the lineup around anoter. Their next appearance will of course be the upcoming Extreme Masters Continental Finals in Cologne. Lets take a glance at a different continent, in fact North America. Ryan Masterson also known as Ryan 'Realz' Masterson once joined SK Gaming USA and built a team from scratch which instantly showed the community that american World of Warcraft teams can live up to european standard. He, Mark 'Pookz' Rendon and Joe 'Enforcer' Morrone took home gold at the MLG Pro Circuit in Columbus and also Blizzard Regional Finals last year. 2010 will be looking a little different. With Realz still being the team leader his additions are now Tim 'Kollektiv' Yen and Alexander 'Glickz' Hloderwski. A second place at the Extreme Masters Continental Finals America provided a basis and also kick-off for this fresh lineup and therefore qualified them for the Extreme Masters Global Finals which will be happening in March 2010. Last but not least SK Gaming's talent factory brought a team into the roster consisting of Kai 'Noonia' Gade, Philipp 'Moldran' Karbun and Marvin 'Fraki' Moschner. For several months they have been up to mischief at various events winning against well-known World of Warcraft lineups. Their recent achievement of course was their 3:2 win against the bulgarian team of Innerfire. This relegation match secured SK Gaming SANSIBAR a spot at the Extreme Masters Europe Continental Finals in january. After all our SK Gaming ASIA lineup from Korea who placed a superb 2nd title at the Extreme Masters Global Finals in 2009 will be facing some minor changes in the lineup so that they are ready for the new season of the Extreme Masters for which they can qualify at the Continental Finals Asia in february. Not to forget our virtual sports section in the SK Gaming clan. Once again we are very proud to have our extremely strong FIFA lineup within our roster. Daniel 'hero' Schellhase, Dennis 'styla' Schellhase and Joshua 'Crown' Begehr will once again carry the SK tag to great success. Kr0ne winning the WCG in 2009, followed by hero`s silver medal contributed to the burst of motivation for another year at SK Gaming. The Electronic Sports league will be launching a new FIFA EPS 3on3 series. Therefor SK Gaming is saying hello to an old face. Welcome Nils 'niLssoN' Nolting. Stay tuned for the one or the other promotion tour with your fifa stars in the context of the Soccer World Cup 2010 which will be launched in South Africa this summer! Also SK Gaming`s racing section will be undergoing some rather major changes. Once a large team – now a one man army. Danny 'HuskY' Engels is your SK racer in 2010. Since Electronic Arts has announced their new title Need for Speed Shift Danny has been ruling the Arcade scene non-stop. Yes, 2010 looks promising. The WCG hasn't announced their game line-up for Los Angeles yet and with a little luck Need for Speed Shift might be included. As you can see our roster has shrunk. At this point we would like to thank all of our loyal racers who have contributed to SK Gaming's racing success over the years. From the very first moment WoW was dragged into a competitive direction we felt the urge to sign players and play tournaments. Though still a very new game at competitions SK is looking back at a couple of huge titles already, among those a first place in Montreal by the Europeans and one MLG win by the US team. In a couple of days the latest addition, the Sansibar team will play for a shot at the global finals at CeBIT. We are happy to have these guys on our roster and can't wait for CeBIT for a clash of all SK teams. Last year our guys from the Racing division took almost every chance to get their hands on titles and trophies to win. Though we have to say good bye to some of the best in the team, we are more than happy about what was achieved in 2009. For 2010 we expect nothing less of course but more competition as a couple of great players will be wearing another tag than SK from now on. But then again, this is what our sport is all about. SK has always been strong in FIFA, no doubt about it. When we cut back this section for 2009 and entered the season with three players only, people were both surprised and disappointed. After WCG this changed. Krone took the title and by doing so he added his name to the list of the SK FIFA dominance right below those of Dennis and Daniel! We are proud to have the by far strongest FIFA players of the world on our roster and 2010 will be an amazing year again with those guys. Not to mention the time we spend at events personally! Last but not least Kudos to the two times consecutive world-champions in female CS. It was in 2006 when we signed them, the year the football worldcup was taking place in Germany. Now we are quite close to the next worldcup, this time it is South Africa and the girls are still around. This team with their bootcamps in Cologne and the titles that followed are a very important piece of SK's soul as I see it. It is so much fun working with them. No matter if it is a bootcamp, the tournament itself or a promotion. Anytime we see each other is more than just fun! Good luck to all teams and players in 2010! face: "dennis is a solid player"